If you are a premium member, then pay close attention, this is for you! If you're not a premium member, well, pay close attention anyhow; you may be someday! If you're like most people, then you're very happy with your first four pets but for years now you've been thinking "If only I had one more spot…" Well, congratulations, now you do! And so just like everyone else, you raced right off the moment the spot opened up and brought over your new pet! Everything is perfect now, right? Not quite. Let me tell you some things you should consider about your fifth pet. It's quite possible you had four Draiks and went out and got a fifth, in which case you already know everything you need to about your new pet's species. But what if you got a new species? Some species have special needs, and you should be aware of these. Unis, for example, should be supplied with lots of grooming items and a mirror as soon as they arrive. Skeiths, on the other hand, will likely start eating your furniture, so you'd be wise to go through and replace your furniture with things that are either made of metal – but even then your Skeith might get it down – or things that are very cheap to replace. While you're at it, make sure anything you own of value gets locked up tight in your SDB or your Skeith will eat through that as well. A new colour is important to consider too. For instance, a swamp pet is going to bring a new and interesting aroma to your house. I'd recommend getting air freshener for every room, or better yet, just a good quality, house-wide, air filtration system. 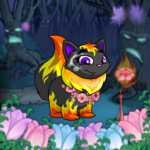 Another good example is a fire pet. A fiery colour would also require some changes around the house, namely getting rid of carpets, rugs, curtains, and anything else that could accidentally be lit on fire and send your house up in flames. Be informed! Talk to other owners who already have the species and colour combo you want to find out if there is anything special you need to know before your new pet arrives. As we have already discussed, some changes might need to be made around the house. But it isn't just the décor that you need to pay attention to. Not everyone lives in a mansion with extra rooms just begging to be occupied. Most of us have decent little neohomes with just enough space for us and our pets. Bringing in a new pet will, for most of us, lead to a very big problem: crowding. Your first four pets are used to having their comfort zone and probably aren't going to like it if you force the new pet too closely upon them. Don't try to bunk your new pet with one of them; that'll just create problems! Your fifth pet deserves their own room. No rooms available? Build an extension! Sounds daunting, for sure, but the knowledgeable Eyrie who runs the Fine Furniture shop will be happy to help you plan everything out down to the last detail. And if you're building on an extra room I wholeheartedly suggest putting in an extra bathroom while you're at it. Nothing can lead to blows quite so quickly as arguments over time spent in the washroom. What about the expense, you might ask? Read on! Having a fifth pet around is, without a doubt, costly. There is a new room to build or at least furnish, new clothing, new toys and books, more food to buy every week and so forth. How to cover the cost? Kill two birds with one stone! Well, okay, not really, please don't go killing birds, I promise that won't help. What I mean to say is that keeping five pets entertained can be challenging. So why not send your new pet off to get jobs at the Faerieland Employment Agency? Keeping them busy will help them adjust to their new routine more readily, will give you less grief trying to keep an eye on them, and will bring in a bit of extra income to help with all those extra expenses. While you're at it, make sure all of your other pets are doing their jobs too. Let's not make the new pet feel singled out. One of the most important expenses for any pet nowadays is their wardrobe. We're long past the era where pets could wander about with just their fur to cover them. A stylish outfit is a must, whether it be bought with neocash or neopoints. The first big no-no is thinking you can let your fifth pet just share in the closets of your first four pets. That's the best way to start resentment against the fifth pet, which won't help anybody. There are of course some things meant to be shared, such as backgrounds and whatnot, and you can introduce your new pet to these immediately. If you do happen to have a pet who is willing to share their closet, all the better. But as that isn't often the case it is best to take your new pet shopping as soon as possible. Buying them all their own clothing will allow them to see that you really care about them and the time spent together will allow you get closer. Rather a win-win situation. The second big no-no is getting too excited about your new pet and buying them all the fanciest and most expensive things. You want your new pet to feel welcomed, and they won't feel that way at all if you make your first four pets jealous. So you've fixed up the house, expanded the wardrobe, and brought over your fifth pet. You're delighted! But how is your fifth pet feeling? In your point of view you finally have the pet you always wanted but couldn't have until now. In their point of view, they're the pet you didn't really like as much as the first four which is why you didn't want them until you had an extra spot lying around. How can you overcome this and help them to see how truly wanted they are? Make sure you shower as much attention, love and pride upon your fifth pet as you did with each of the first four. Don't take them for granted. Show them off. Let them know how much you love them. And when they're comfortably settled in and things simmer down into a normal routine, make sure your fifth pet gets the same treatment as the first four. Get your new pet involved in whatever things are special to your family. Make them feel like they are part of things. And never stop telling them how happy you are to have them with you. Remember, everyone has to be happy with the new arrangement. Talk to your first four pets before you bring in any newcomer. Get their thoughts and opinions. Make sure they know you won't love them less or give them less attention. 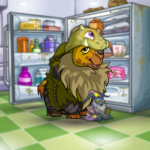 Also, if you happen to have a Draik or Uni or some other vain pet, be sure to assure them that they'll still get as many new clothes as ever. This can go a long way in winning your pets around to the idea of a new sibling in the house. Once the new pet arrives, make sure to do things as a family. Encourage your first four pets to show the new one around and share their favourite pastimes and hobbies with him or her. This will help your new pet to open up and as you learn about their favourite pastimes and hobbies be sure to supply them with whatever they need to pursue these interests. The process of getting a fifth pet can be rocky and expensive. But it can also be exciting and heart-warming as the new one settles into your family and brings a new personality to all of your lives. 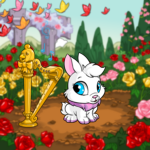 To all you fifth pet owners: Good luck!